The Smart Café offers a wide variety of food options and displays nutritional information to help you make smart choices about what you eat. Below is a sampling of what you can find in the Smart Café. 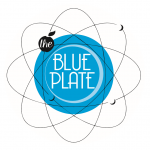 The Blue Plate features constantly changing daily specials. From southern cooking to world cuisines, you can enjoy something new and delicious each time you visit McWane Science Center. 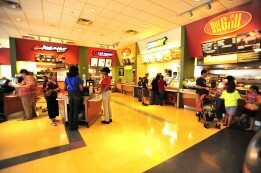 Subway: Subway has a variety of sandwich and salad options to choose from, many of which have less than 6 grams of fat. Whether or not you’re in the mood for a sub, you’ll have no choice but to be drawn into the café by the hypnotic smell of baking bread. Hot Off the Grill Station: Enjoy Burgers, Fries, Chicken Sandwiches and Daily Specials! Dippin’ Dots: The original and unbeatable flash-frozen ice cream sensation. Your taste bud adventure awaits! Pizza Pi: 3.14 + McWane Science Center = Individual Pepperoni and Cheese Pizzas!